Alice Lowe lives in San Diego, California, where she reads and writes about life and literature, food and family. Her personal essays have appeared in more than sixty literary journals including, this past year: Baltimore Review, Stonecoast Review, Citron Review, Eclectica, Room, and Pilcrow & Dagger. 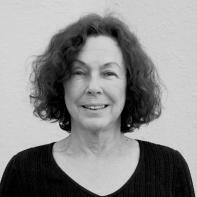 Her work is cited among the Notable Essays in the 2016 Best American Essays and was nominated for the Best of the Net Anthology. Alice is the author of numerous essays and reviews on Virginia Woolf’s life and work, including two monographs published by Cecil Woolf Publishers in London. “The race goes around Central Park—you can’t get lost, Mom. Why do you need a map?” My daughter mocks me, ever so lovingly. We’re in New York to celebrate her 50th birthday. We planned the trip around Grete’s Great Gallop, an annual 10K race sponsored by New York Road Runners that loops the park’s boundaries. For me the joy is in running with my daughter (with in a manner of speaking, as she’s fast and I’m slow). I print out maps of race routes even when I know the course well. It’s essential homework, an entrenched habit, so I’m surprised I have to explain: that I want to create a mental grid so I have my bearings throughout the race; that I want to see the exact configuration of our path, to know at what point we pass the Met, the reservoir, Strawberry Fields, Tavern on the Green. I discover while planning our visit that I don’t have a map of Manhattan, so I check out a Fodor’s guide from the library to assist my advance scouting. I’m not interested in most of what travel guides offer—hotels, restaurants, night life, tourist attractions—but I like the regional and neighborhood maps that identify under-the-radar points of interest. Rather than schlep the book—weighty by my packing standards—I copy a few useful pages: maps of the Midtown/Upper East Side area where we’re staying, Union Square and the Flatiron District where I’ve earmarked eating destinations, Greenwich Village, the Lower East Side, Little Italy and Chinatown. I download a map of the High Line, not because I fear getting lost along its elevated and insulated confines, but rather to be alerted to the artworks and other features of the path and familiarize myself with the environs. In a shoebox on a shelf in a closet in my study are city street maps. I know San Francisco and Seattle well enough to not need the maps, but I take them with me to flag new discoveries: a restaurant or bookstore, a footpath or bus route. Maps of infrequently visited cities—Portland, Denver, Boston, Chicago—help me recall past visits and keep alive the possibility of a return. I avoid nearby Orange County and Los Angeles, but I keep the maps because, well, you never know. I unfold a map and release colorful flights of fancy, like trapped butterflies bursting free into the air. I’m mesmerized by the veins and arteries snaking out to regions unknown. “I didn’t know that street went there…” or “I wonder what’s out here…” can lead to diversions and discoveries, possibilities beyond its practicality. I add notes, stars, circles, and arrows, exclamation points and question marks: where I’m staying, routes to planned destinations, curiosities. I walk through cities with my feet; I walk them in my head with maps. In the same shoebox, encircled with an orange ribbon, are maps of England collected over the baker’s dozen visits I made in the ‘90s and aughts. Several of London—I can’t imagine being there without an “A to Zed” and a big foldout city map—and all the cities, towns, villages and countrysides I’ve loved. Maps of Devon and Sussex, where I’ve spent most of my time, of Oxford and Bath, Salisbury and Rye. Maps of the moors and downs, trail maps, Ordnance Survey maps. They all have the capacity to transport me in an instant, evoking vivid images and stored sense memories, like the aroma of a steamy spicy curry at a Dartmoor pub on a blustery day after a long hike, sacred pilgrimages over Virginia Woolf’s South Downs from Rodmell to Firle, the profligate peonies outside the window of my exchange home in Bridford—I was sure their bursts into bloom were a performance solely for me. An AARP bulletin a couple of years ago listed commonplace things that might become extinct in the next fifty years. On the endangered list are land line phones, business cards, desktop computers, analog clocks and wristwatches, cursive writing, and glove box maps. My continued use of all these exposes me as an unredeemable Luddite, fit only to observe the modern world warily from a distance. My selective resistance is a choice I defend, but I’m not blind to reality. With printed encyclopedias and phone books already close to obsolete, printed maps of all kinds hover over the recycling bin. There are map apps to provide directions, traffic info and drive-time estimates. GPS devices tell you—in your choice of male or female voice, British or American-accented, stern or soothing—where and when to turn. Why unfold an unwieldy, probably out-of-date map that still makes you figure everything out for yourself and then demands that you reassemble it to its original neat rectangle with the title in front? I told a friend about the imperiled items, and he remarked that “Map apps only help if you know where you’re going.” Like a dictionary that can’t help you spell a word unless you already have a pretty good idea. My maps are emergency provisions, like stored blankets, power bars and gallon jugs of water. I keep city, region and state maps in my glove compartment and a local Thomas Brothers guide—vintage 1992—in the trunk. I have to admit that I increasingly refer to Google Maps (on my desktop computer) before I leave home, but I feel more secure knowing fallback rations are handy. It was the title that drew me to “Servants of the Map,” a dazzling story by Andrea Barrett. I wasn’t familiar with Barrett’s artfully linked-but-not-linked stories and their scientific subtexts when I bought the collection in which this was the title story. The rest is history, as they say, because Barrett’s stories and novels have opened up new worlds and influenced my own writing. “Servants of the Map” narrates the exploits of a surveyor/cartographer in the mid-1860s as he explores the Himalayas and his own passions, and the long-suffering wife who waits and waits, eventually (but that’s in another story) building a life of her own. Each time I read the story I scour the accompanying geological map for more detail, then refresh myself on a broader scale in my atlas. And then, inevitably, I turn page after page of the atlas and drift further afield into unknown worlds. In A Room with a View, Lucy Honeychurch and her older cousin/chaperon visit Florence. Eleanor Lavish, an Italophile resident at their hotel, invites Lucy to join her for a walk to Santa Croce. Lucy reaches for her Baedeker—quintessential 19th-century guide books, later an eponymous term for any travel guide—to see where the church is located. Miss Lavish stops her: “Tut, tut! Miss Lucy! I hope we shall soon emancipate you from Baedeker. He does but touch the surface of things. The true Italy is only to be found by patient observation.” When they get lost in Florence’s dark, narrow, look-alike lanes, Miss Lavish is titillated by the perceived frisson of danger and won’t ask directions or consult a map. A flȃneur (or flȃneuse if you favor gender-specific nouns—I don’t) is by definition a stroller, a saunterer, often epitomized by the urban walker, a prowler of city streets, a detached observer, often of a literary bent. One who doesn’t resort to maps or guides. Virginia Woolf’s “Street Haunting: A London Adventure” captures an excursion in the life of a flȃneur. I’ve engaged in my share of flȃnerie, but only after I have the lay of the land. Advance reconnaissance with a reliable map (or Baedeker) assures me I’m not going around in circles, at peril, or missing Santa Croce. I pull out my New York subway map—looking for the line that will take us from the Upper East Side to the Brooklyn Bridge—and I’m lost in its maze for the next hour. Routes snaking downtown to uptown, crosstown and to the other boroughs stoke my imagination and conjure past trips. I thought it miraculous when I was able to take the A Train from one end—JFK Airport—to its furthest point in Inwood, at the northern tip of Manhattan, where I stayed with a friend on one visit. I flip the map over to the Long Island Railroad connections. My finger traces the stops from JFK to Rockville Centre, where I was born, and then along a branch route a short distance to Hempstead. Franklin Square, a nearby hamlet, isn’t on this map, but it was home to my first six years. I went back there for the first and only time on a cross-country trip in the late ‘70s. A friend drove while I navigated. We parked the car while we were in New York City and rode the train to Stewart Manor, walked the mile or so to Franklin Square. I found our family’s house, almost unrecognizable with the house number changed and a second story add-on. I stopped to talk to an old couple sitting on their stoop two doors down, and they turned out to have lived there when I was born, to have been close to my family. “Why, I used to watch you sometimes when you were a baby,” the woman told me, and I burst into tears on the spot. This was just a couple of years after my mother’s death, and hearing these words in this place, I could feel her presence. On a more recent New York trip my husband and I took the same train line all the way out Long Island to East Hampton and from there by taxi to Springs (also a hamlet), where my husband paid homage to his artistic inspiration, Jackson Pollock. The New York subway map evokes the London Tube map, another underground warren I can lose myself in, physically and mentally, recalling countless travels, tunneling through the urban labyrinth, whooshing and chattering and chugging, coming to air at my destination in another part of the city. I love the way the map makes the city seem more accessible with its geometric grid and color-coded lines from dot to dot. The “hamlet” designation for small communities isn’t used in California, so New York hamlets like Franklin Square and Springs bring to mind English hamlets—entities smaller than villages, which are smaller than towns—many of which I’ve explored with the help of regional maps. Bridford, Devon, where I lived for six months on an exchange, and Rodmell in Sussex, where I spent two-week stints over several years, are tiny one-pub, one-church villages—I don’t know how much smaller they’d need to be to be downgraded to hamlets. These were the hubs from which I launched walks, bus excursions, and drives, map in hand over narrow winding lanes to musty second-hand book stores, rustic pubs, and olde-world tea shops in neighboring villages and hamlets. Guides and maps have accompanied me on walks through London streets to pay tribute to my muse, Virginia Woolf, past the Bloomsbury houses she resided in and echoing her own walks around the city, as set forth in her diary, and those of her fictional characters. The walks in Mrs. Dalloway of Clarissa Dalloway, Peter Walsh, and Septimus Smith are charted in several books and websites. Location in fiction seems to me most vivid in London and New York, where the city itself feels like a living presence, a major character in the unfolding drama. When I read novels that take place in one or the other, I’m there. I see neighborhoods and street corners, parks and buildings. I see them as they are now, but I can visualize them a hundred years ago. Recently I came across a map of literary road trips. Plotted out in dots and dashes of varied colors, viewed singly or simultaneously, are Cheryl Strayed’s pilgrimage up the Pacific Coast Trail in Wild, Jack Kerouac’s adventures On the Road, the highways and byways of Robert Pirsig as he waxed philosophical in Zen and the Art of Motorcycle Maintenance. I read maps and guides the way I read cookbooks—more for pleasure and inspiration, for education and enlightenment, than for directions. As I might read a collection of essays or even stories, their intrigues unfolding as new segments are exposed. I read them like textbooks, to better understand the world and my place in it. I read maps to plan potential trips and plot imaginary ones. I have a long-recurring fantasy in which I spend two weeks or a month by myself in New York with no itinerary or commitments. Just street maps of all the boroughs, rail maps, and maybe a Baedeker (generically speaking), which I study each evening to choose—blindfolded with a dart or by design—my next day’s destination, the object of my flȃnerie.